1). F series mud pump we supplied has a solid and compactstructure, miniature volume, and reliable performance. 1). 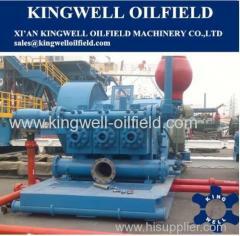 The mud pump is designed and manufactured conforming to API Spec 7k. 2). A solid and compact structure, miniature volume, good and reliable performance,which can meet the drilling technological requirements. 3). F series mud pump has a longer stroke and can be operated at a lower stroke,thus improved the water supplying performance effectively and extended thelifetime of expendable parts in the fluid end greatly. 4). The suction pulsation dampener has an advanced structure which is reliable touse and can make the pump realize its best suction performance. 5). The power end uses combined lubricating system of forced lubrication and splashlubrication to lubricate and promote the service life of power end. 2). 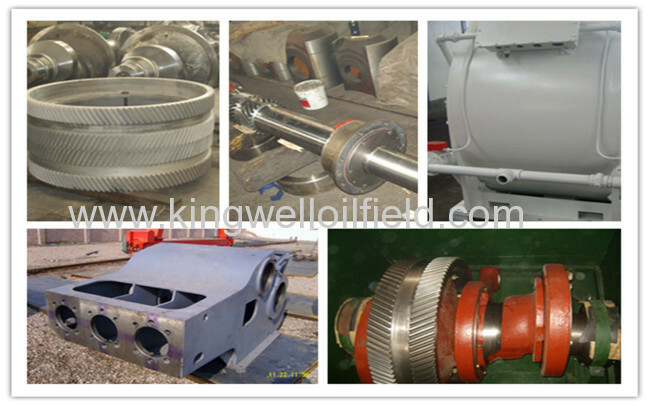 Quality Assurance: Ten professional inspectors performstrict quality inspection from the initial forgings, castings, other rawmaterials, each finished machined parts until the final assembling of the pump. Each part assembled on the pump will be well tested and highly qualified. Andfor each pump finished, it will be running tested in our test center for atleast 4 hours. 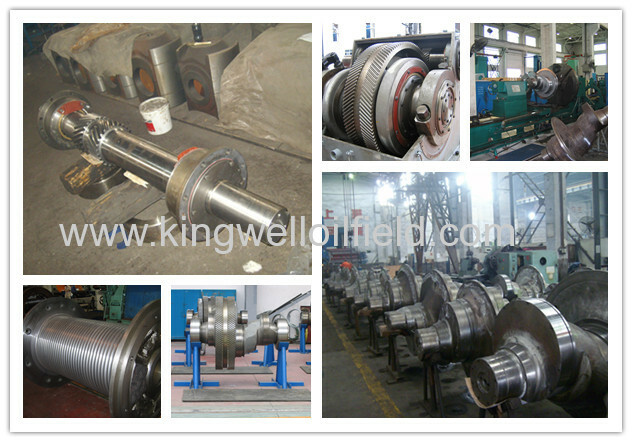 Quality certificate, Inspection report and testing report will beattached when pump is delivered. 12 Months quality guarantee will be offered for each pump. 3). Competitive Price: We are one of the top pump manufacturers in China. We have the greatest advantages in price. We can not offer you the lowest price in China, but most competitive price but with very good quality. 4). Quick Delivery: Usually we will keep some pump model in stock so that we can make fast delivery for clients with urgent need. For pump we do not have in stock, we can also deliver with 40 days. 5). We can offer unitized pump package according to your different needs. We have a team of well qualified and experienced field support personnel for Training. According to customer's requirements, we provide operation training service for our customers who cooperated with us. 1) To know the basic knowledge of the products, such as the usage, the working environments, the working principles, the structure, ect. 2) To learn the operation and use of products. 3) To master the basic requirement of designs of tool strings and of testing operation. Payment term: 30% deposit by T/T or L/C and 70% before shipment. Warranty: Warranty period is 12 months after installation. Packaging: wood case or steel frame which suitable for long term transportation. Delivery Date: within 30days after receiving the deposit. 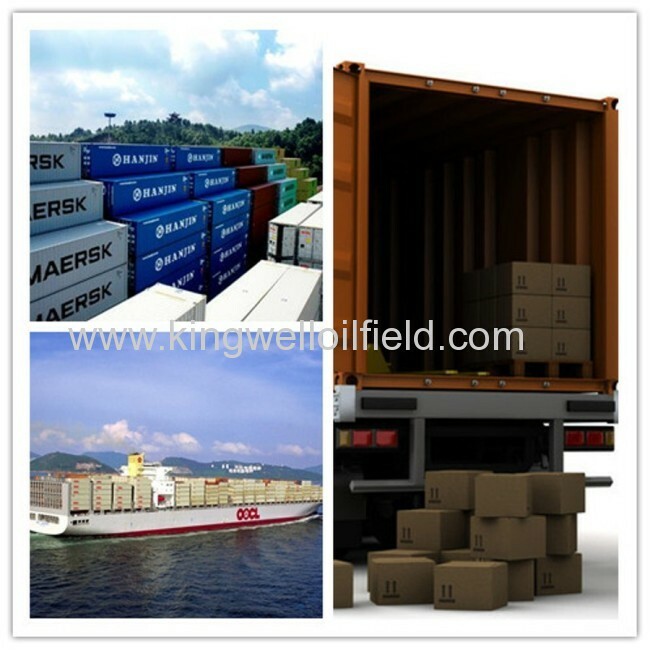 Kingwell are experienced in production and also the shipment, our goods were sold to wordwide and has been accepted by the end users.